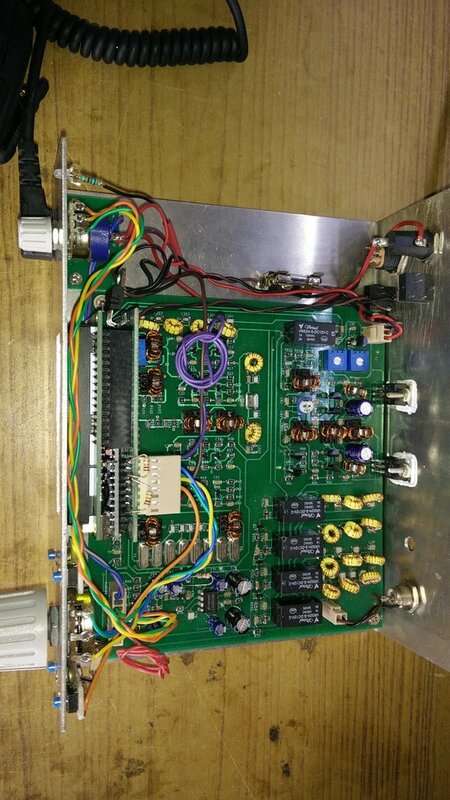 This entry was posted in Ham Radio, Kits, New Products, News, Radios, Shortwave Radio and tagged Ashhar Farhan, Pete Eaton (WB9FLW), uBITX, uBITX Transceiver on December 11, 2017 by Thomas. 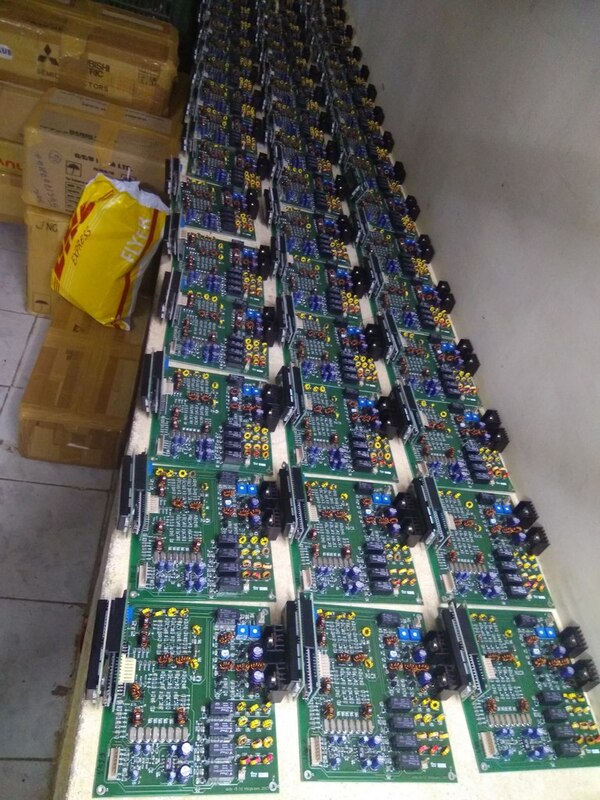 Last March, Ashhar Farhan (VU2ESE) the designer of the very popular BITX20 and BITX40 series of mono-band HF Transceivers announced a new low cost rig called the uBITX (micro BITX) a full blown 80-10m 10 Watt SSB/CW Transceiver. Now comes word that after many months of very hard development work by Ashhar this much anticipated Rig will soon be available. 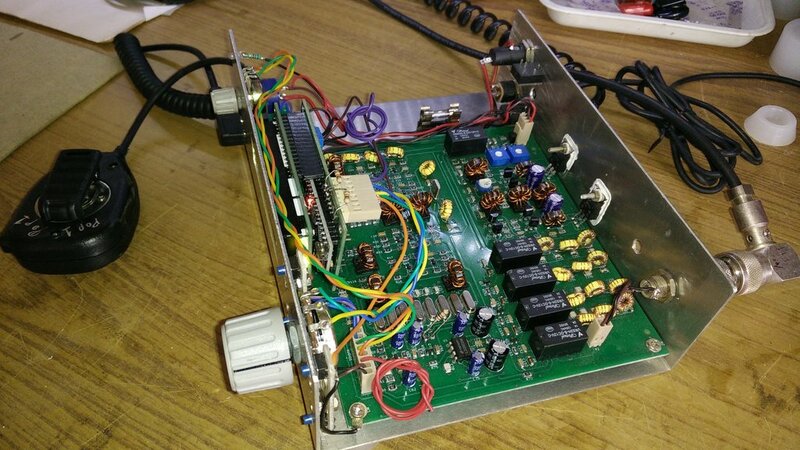 For those not familiar with the project this is *not* a kit, rather like its sibling (the BITX40) it consists of two assembled and tested Circuit Boards. The RF board measures 5.5 x 6 inches and a second small plug in daughter card that takes care of the digital portion of the design including the 2X16 LCD, Arduino Nano, and Si5351 which are used in the VFO. Add a cabinet, knobs, and connectors and you have a full blown HF Rig! An added plus is that except for the Gerber PCB files everything else (including the firmware) is Open Sourced! 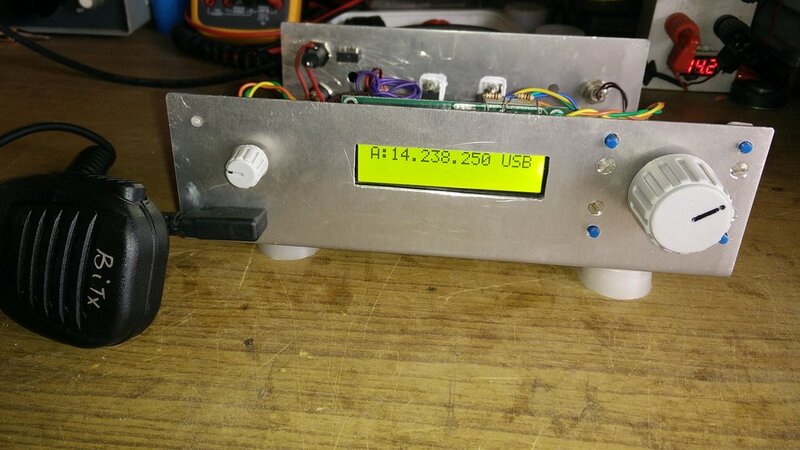 This entry was posted in Ham Radio, New Products, News, Radios and tagged Ham Radio, Pete Eaton (WB9FLW), uBITX, uBITX Transceiver on December 8, 2017 by Thomas.